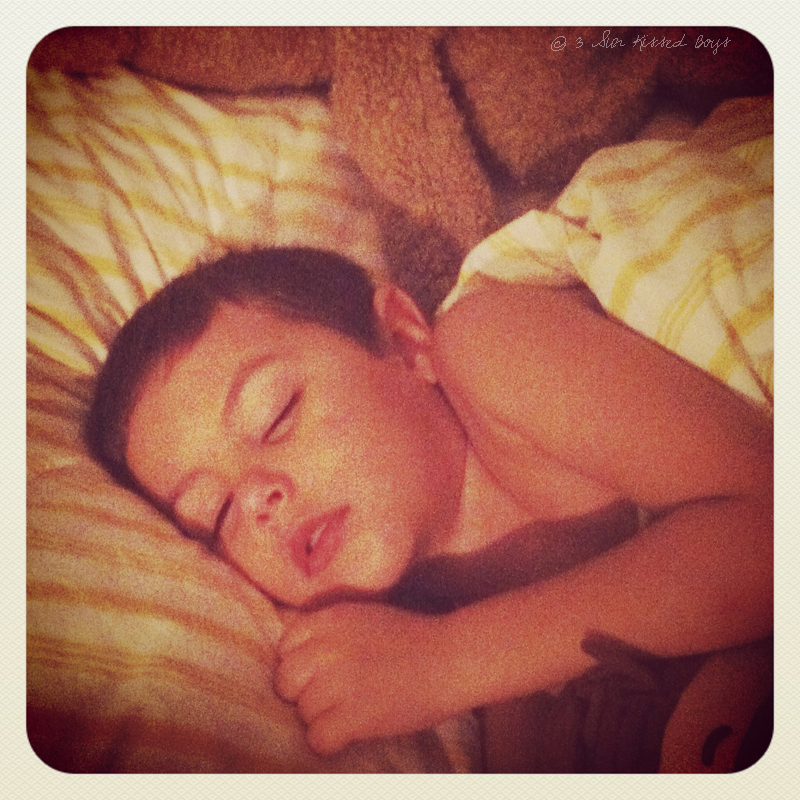 Putting Sun Kissed Boy #3 to bed is fairly easy. He is not the type that will get up several times asking for another story, more water, or (the one that I'd give into) more hugs. However, an hour or so after he's tucked in, he wakes up. Even if he goes before bedtime, I think having to go potty wakes him up. 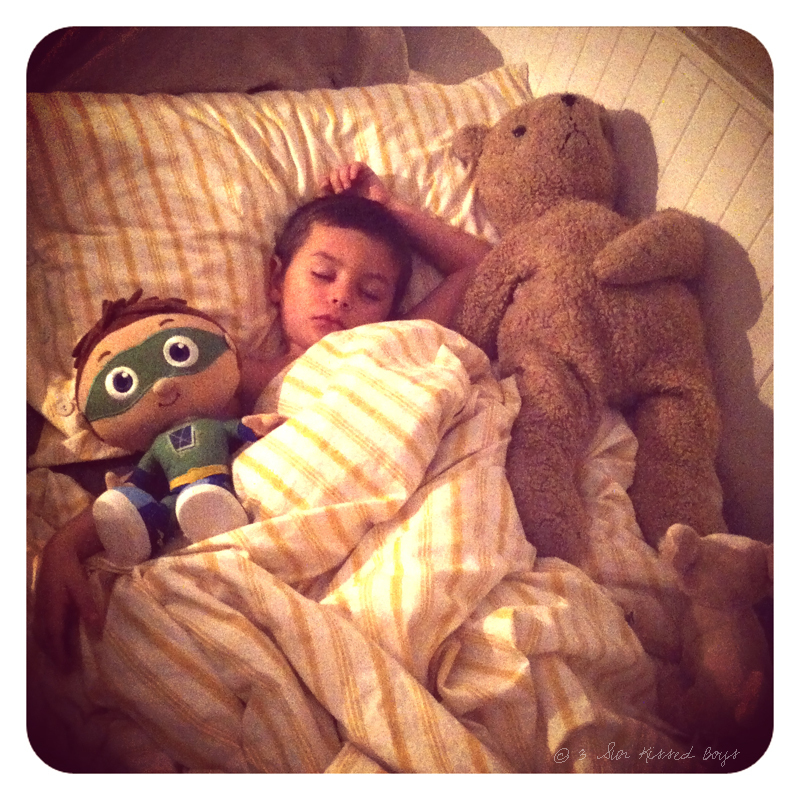 Lately, instead of going back to his bed, he tiptoes into his biggest brother's bed. We calls it being a "sneaky gorilla". He's referring to the book Goodnight, Gorilla where a precocious gorilla sneaks out of the zoo and follows the zookeeper home and creeps into his bed. 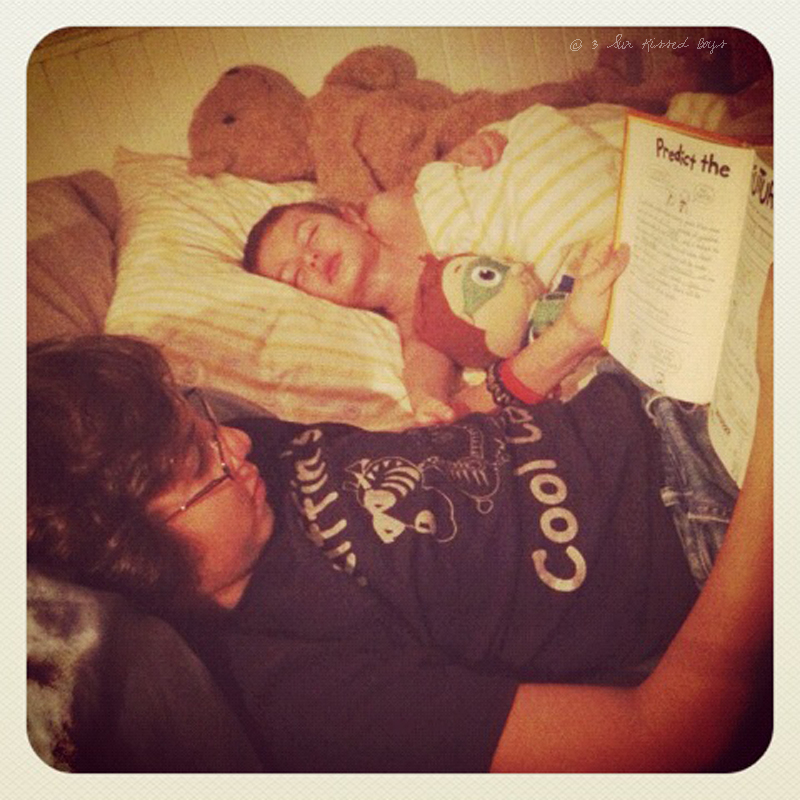 Even if Sun Kissed Boys #1 is still awake, he enjoys having his sly little brother sound asleep while he reads. 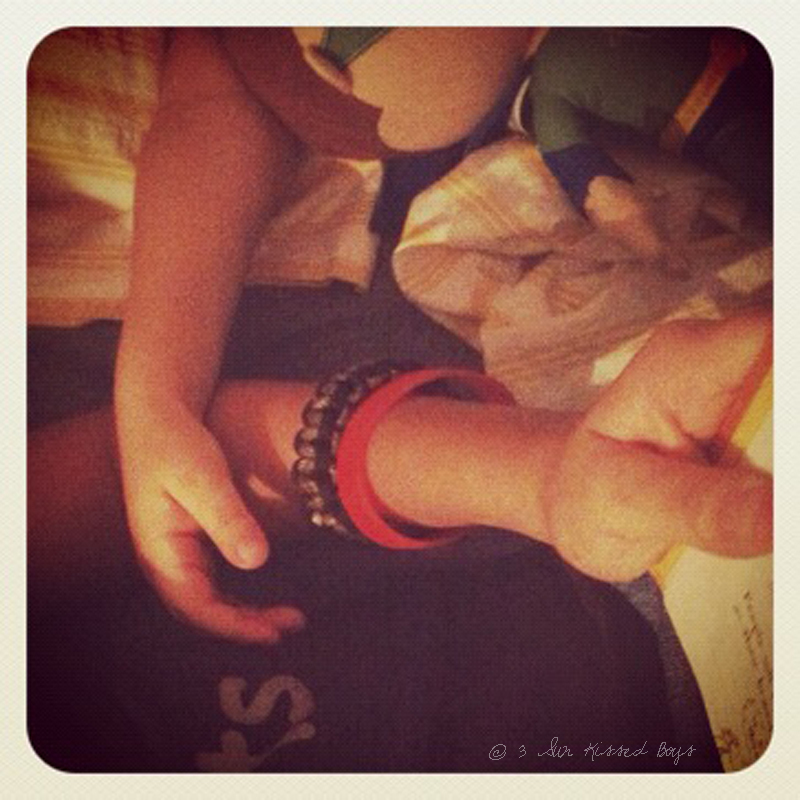 How could he not love this little hand resting on his arm? how sweet is that! and goodnight gorilla is a favorite in this house! even though my kids are 5 and 6 now they still love it. This is so precious. Makes me long for those days. 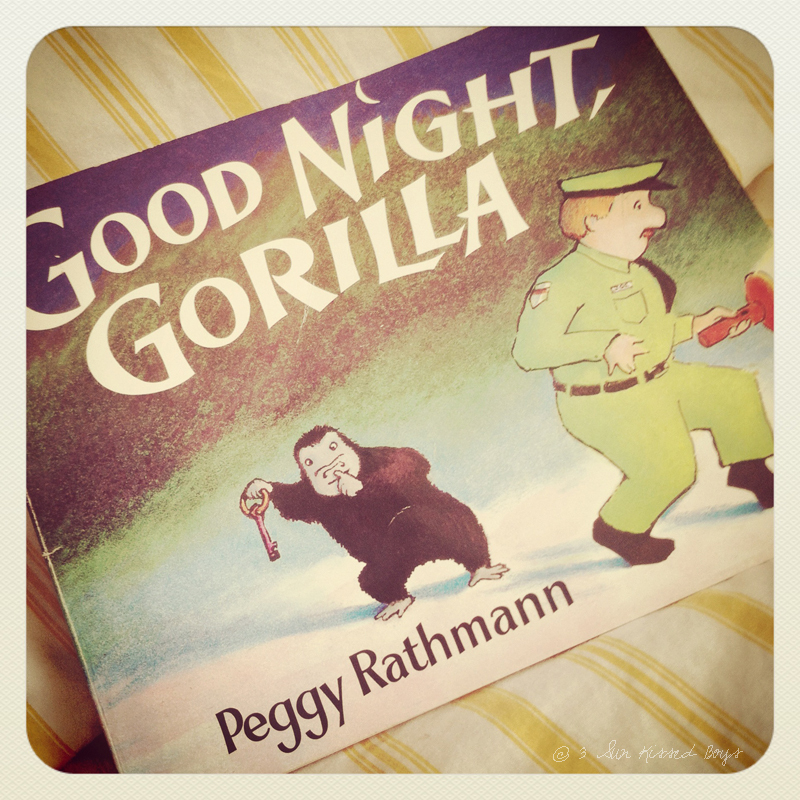 Yes, we loved Goodnight Gorilla in our house. I might just pull that one out to read tonight. I might get an eye roll, though. So sweet! We haven't read that book. I need to look for it the next time we go to the library! Aww that is so sweet! So nice of SKB #1 to share. Reminds me of the times I spent reading to my little brother back when we were kids...he's the whole reason I became so good with expression, too. I tell my classes each year that story and this year I called him on speakerphone and they all got to talk to him. They were pretty thrilled.